While editing your Presentation, make sure a Blurb Section has been added and then click into it to edit it. You may see "Click here to edit this blurb" if it's empty. 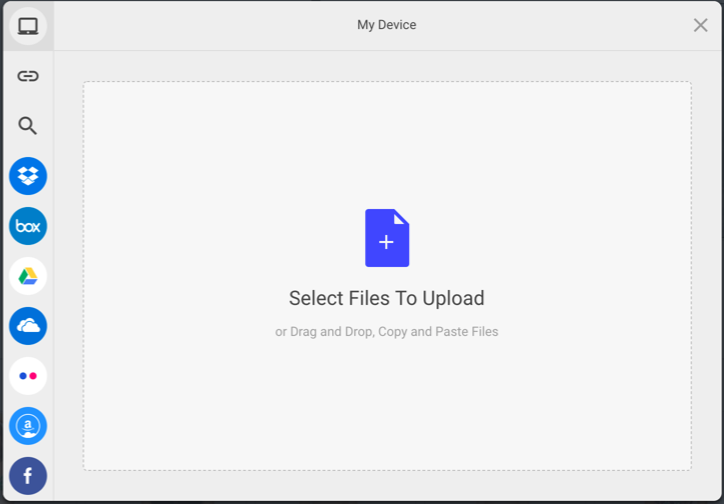 If you use Find File, you can select the file from your computer or have it imported from another platform. Click Upload after making any adjustments and you will return to the original prompt. 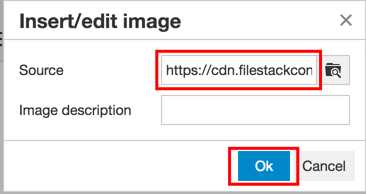 The image's URL in our system will be displayed in Source. Click "Ok" to finish and your image will now be inserted into your blurb. 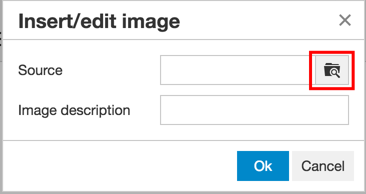 Once your image has loaded, you can resize it or change its position relative to other contents in your blurb. See Resize Images in a Blurb to learn more.